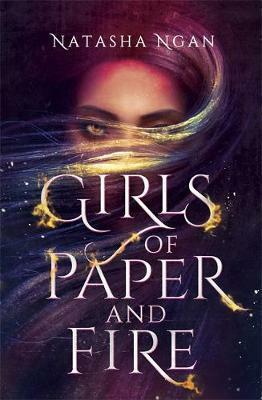 Memoirs of a Geisha meets The Selection in this stunning YA fantasy novel. Perfect for fans of Renee Ahdieh, Laini Taylor and Sabaa Tahir. Each year, eight beautiful girls are chosen as Paper Girls to serve the king. It's the highest honour they could hope for...and the most demeaning. This year, there's a ninth. And instead of paper, she's made of fire. Lei is a member of the Paper caste, the lowest and most persecuted class of people in Ikhara. Ten years ago, her mother was snatched by the royal guards, and her fate remains unknown. Now, the guards are back and this time it's Lei they're after - the girl with the golden eyes, whose rumoured beauty has piqued the king's interest. Over weeks of training in the opulent but oppressive palace, Lei and eight other girls learn the skills and charm that befit a king's consort. There, Lei does the unthinkable - she falls in love. Her forbidden romance becomes enmeshed with an explosive plot that threatens her world's entire way of life. Lei, still the wide-eyed country girl at heart, must decide how far she's willing to go for justice and revenge.